Standing in line for the venue, it’s not hard to tell who will be joining me- any teenage girl within a 300 meter vicinity holding an iPhone and wearing an over sized denim jacket is guaranteed to be screaming their lungs out when the songstress comes on stage. On paper, the idea of a few hundred people packed into the dark underground venue of Gorilla sounds daunting, but with the hazy deep blue lights on the stage, it remained intimate. 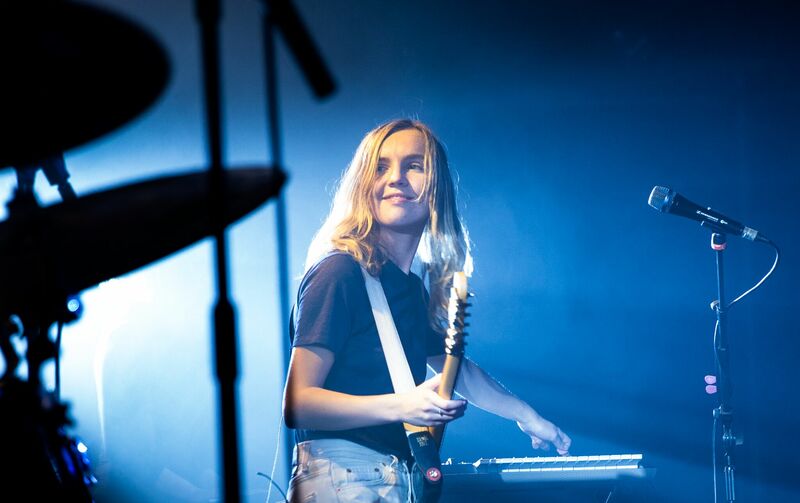 The Japanese House brought two up-and-coming support acts with her. The first being Tamu Massif, the pseudonym of Dave Dixon, who performed his take on psych-pop to an already full crowd. “I thought I’d be playing to five people”, he says timidly, “This is incredible”. Indeed it’s only the start to his music career, but his gruff vocal melody and sparse but insistent percussion shows that he’s got a long road ahead of him. His track Rare Candy was the most popular- its punchy, translucent guitar and catchy bass-driven chorus was energetic and added adrenaline and curiosity to the night. Next was female-lead band Babeheaven, who completely won the audience over with their honestly poignant love songs. Performing a blended mixture of guitars and synth created an alternative pop sound, and paired with the dreamlike vocals of Nancy Andersen, it didn’t stray too far away from the style of The Japanese House. Normally I find it hard to find female singers I like, but I was both impressed and enthralled with Babeheaven’s performance. Mentioning their headline Manchester show next week, they definitely picked up an abundance of new fans. The Japanese House jumps on stage at half 9, catapulting into Clean. The band made up of 21-year-old Amber Bain, her bass player, keyboard player and new member Fake Laugh, shone with talent and charisma beyond their years. The track’s lush laid-back melody and enchanting synth singles it out as the band’s unofficial theme tune. Even with minimal audience interaction as a way of letting her music do the talking, she enthralled the standing crowd with her dreamy vocals. Alternating between her guitar and synthesiser, Amber’s flair for music is indisputable – even a simple strum of the guitar sent chills down the audience’s spine. The songstress displayed her newfound versatility whilst playing a series of upbeat and empowering anthems from her first EP, including Teeth and Pools to Bathe In. The latter, co-produced by The 1975 who she supported on their last tour, has a tremulous, plangent melody and leads to an immaculate pop chorus. Amber’s vocals remain raw as she spirits what many have her called her inner ‘cosmic Grace Jones’.The mood stays relatively moody throughout, with Leon being the closest thing to a ballad the band have produced. Amber’s new track, Saw You In A Dream, is unusually upbeat but her fans seem to enjoy the new experimental sound. The new songs both sound in a similar tone to her debut; cosmic and vast waves of sound bouncing under indie guitar style riffs accompanied by layer upon layer of vocal harmonies meticulously recorded to replicate typical studio effects. 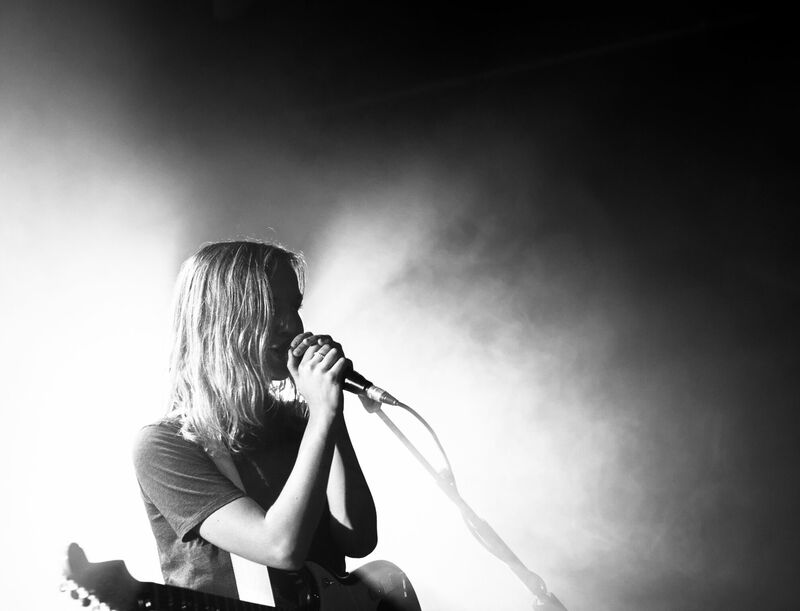 The Japanese House’s loyalty to her listeners and organic recording style makes her music that bit more honest, enhancing the already confessional style of lyrics. Still is one of the night’s highlights, managing to induce the feelings of a fresh heartbreak to the crowd. The performance proved exactly why it was chosen as Zane Lowe’s last ever ‘Hottest Record’ on Radio 1.Its emotional instrumental melody is euphoric and only adds to Amber’s growing collection of beautifully layered mini-masterpieces. The set ends with Japanese House’s most popular hit, Face Like Thunder. The maudlin rendition certainly did not disappoint as audience members raised their cameras in hopes of bringing back a piece of the rendition home with them.